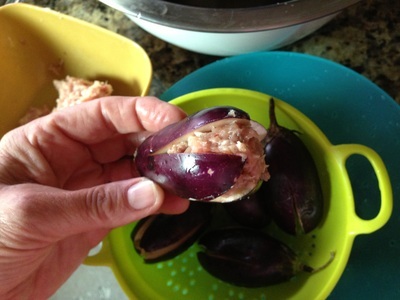 These mini eggplant's are so fun to work with. 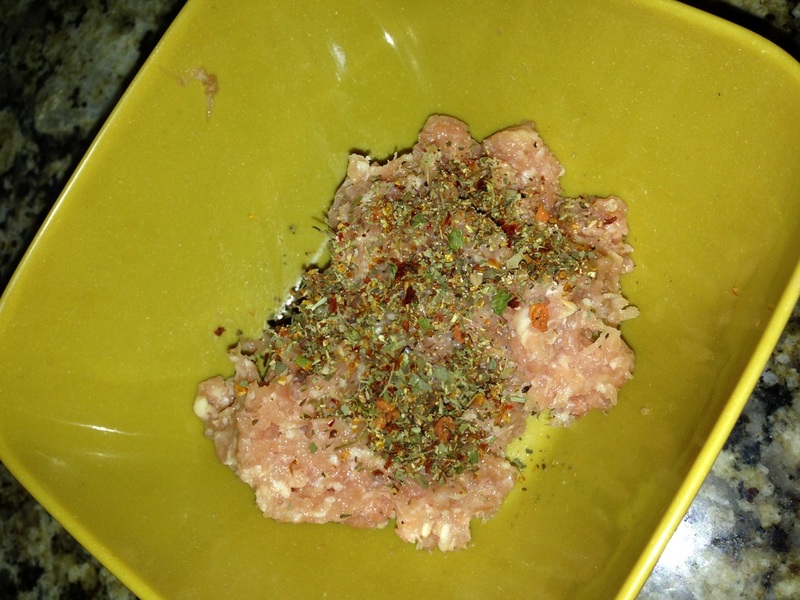 Today I used ground chicken and spices and decided to pan fry them a few seconds per side in olive oil to brown the meat on all sides. We then finish them with baking them in the over. 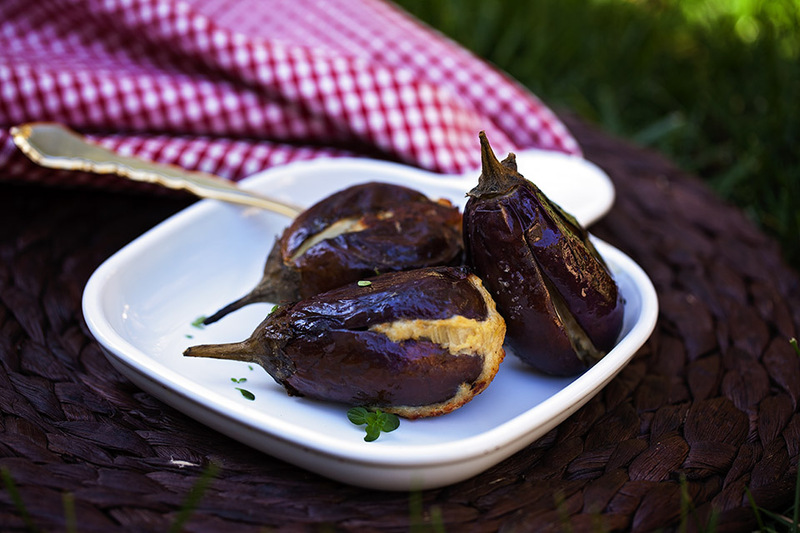 Enjoy this dish as an appetizer, side dish or main course. These would be delicious with a tomato sauce drizzled over or as a dipping sauce. 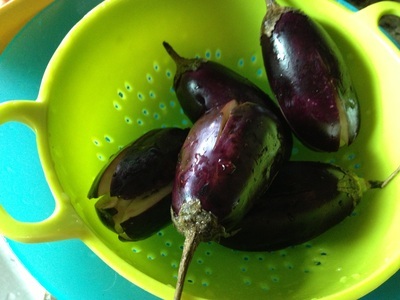 They are also delicious as is ! 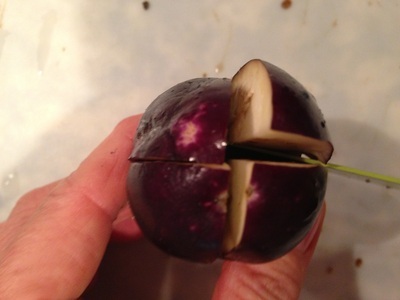 Slice eggplant two times from bottom up to stem but stopping about 3/4 of the way up leaving the stem side intact. 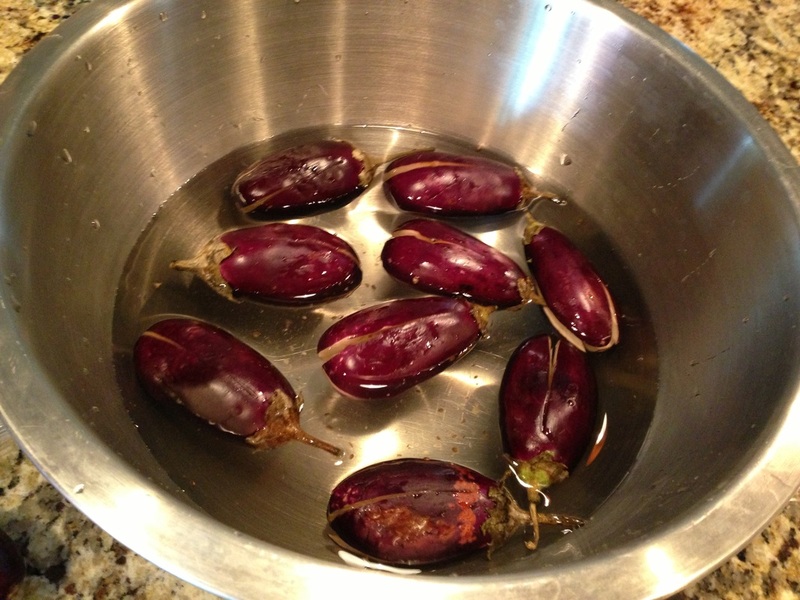 Place eggplant in cold salted water while cutting all remaining eggplants. Once all eggplant are sliced remove from water and drain. 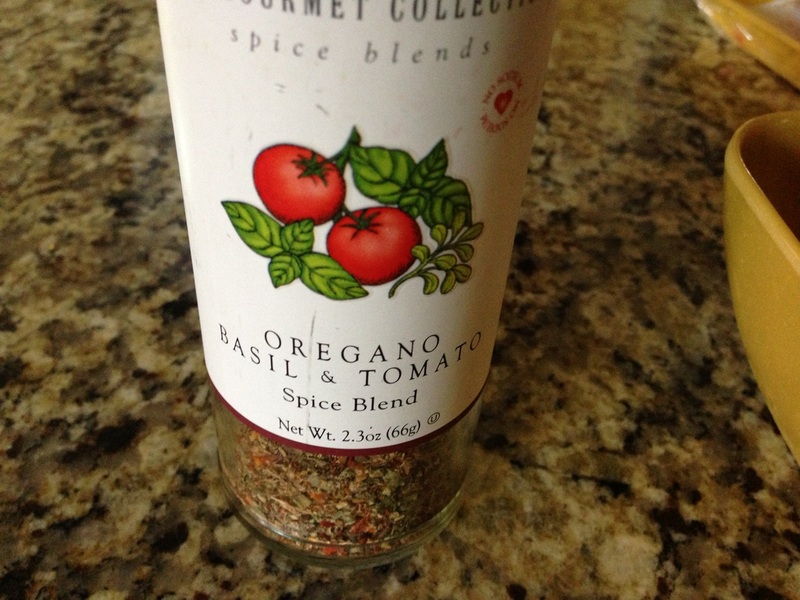 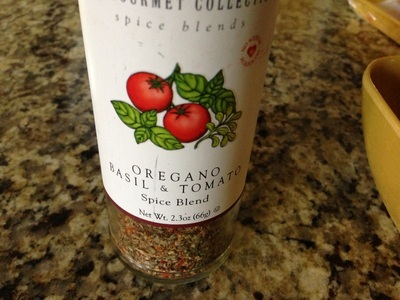 In small bowl mix with your clean hands ground chicken and spices. 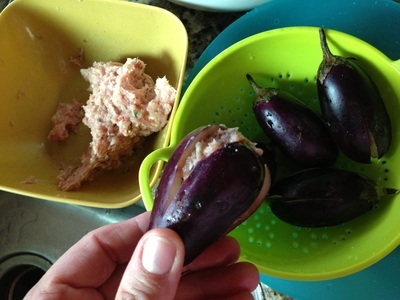 Stuff meat in to mini eggplants using your hands. 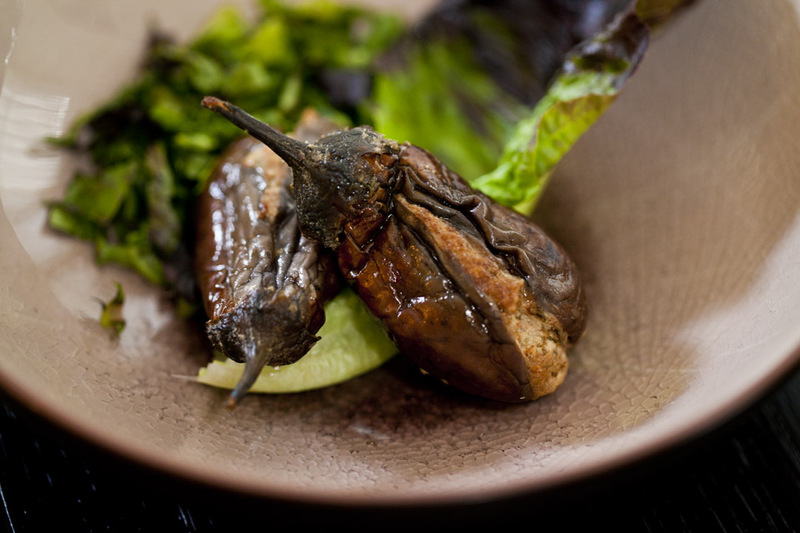 You can reshape by pressing back the eggplants sides against the stuffing until formed in a eggplant shape. 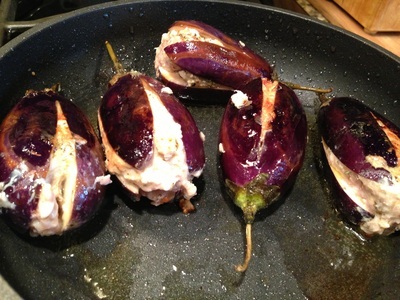 In fry pan with drizzle of live oil over medium heat cook eggplants on all sides until chicken filling is browned. 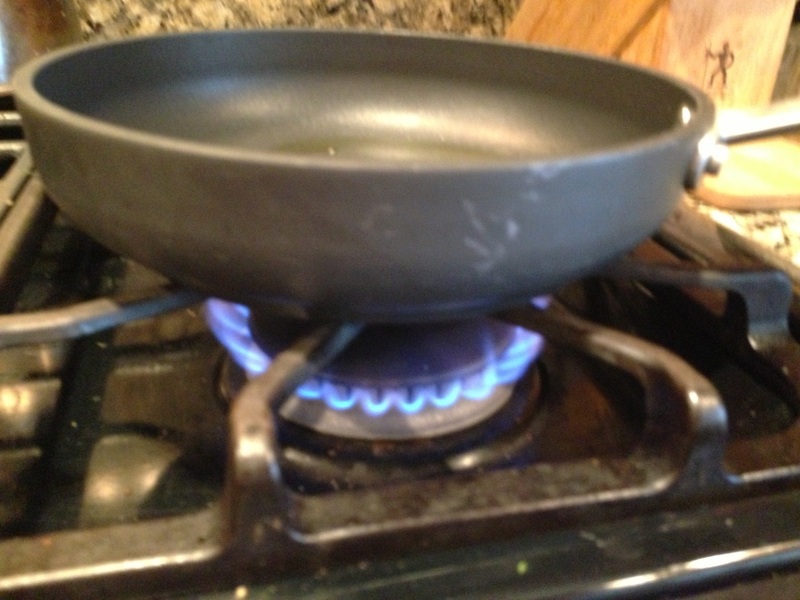 Remove and set on paper towel to soak up any left over oil. 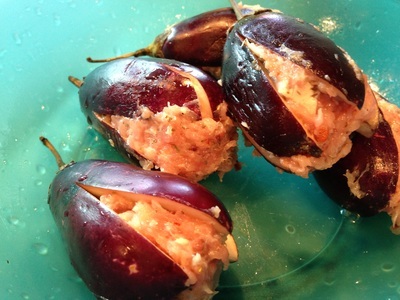 Place eggplants on a baking sheet. 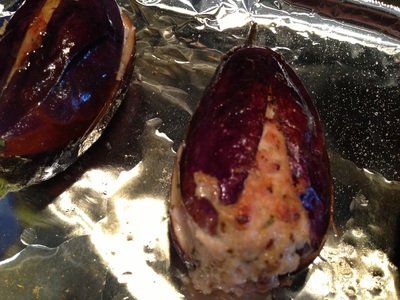 Place in the oven and bake for 10-15 minutes until chicken is done in the center. 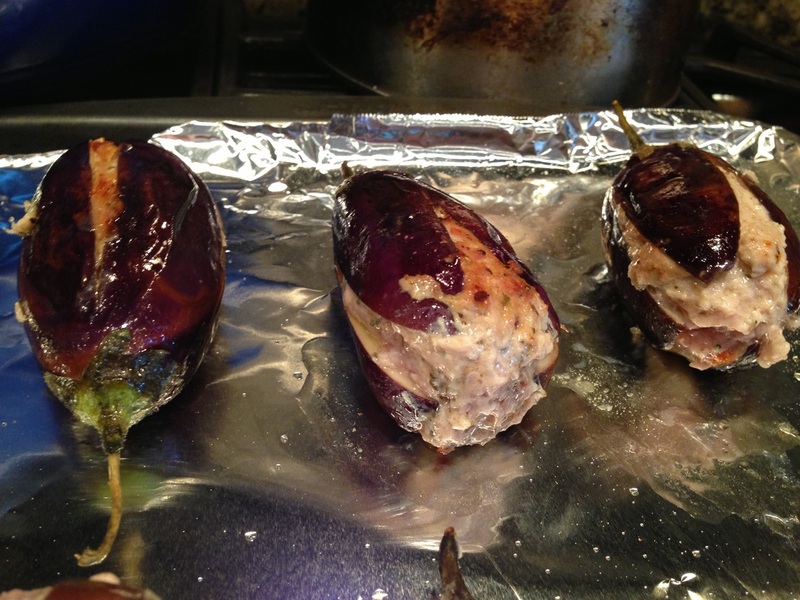 I hope you enjoy this meaty version of stuffed baby eggplants!